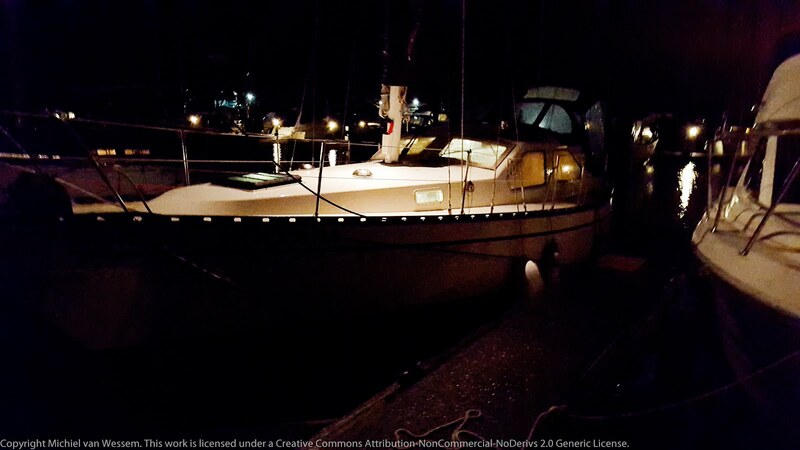 In 2005 I had bought a small sailboat that had a cast iron swing keel. 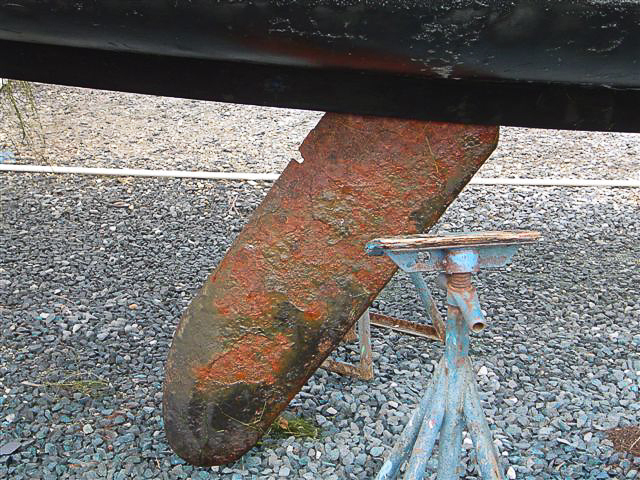 This keel, which could be lowered and raised with a hand operated winch, allowed the boat to be easily trailered and it was also possible to go into water as shallow as 12 inches. Of course, for sailing, it needed to be lowered. The boat was over 20 years old and salt water had caused considerable amounts of rust and a form of corrosion known as scale. Movement of the keel had gotten so bad that the previous owner had drilled a hole in the top of the keel box and used a piece of rebar and a heavy hammer to tap on the keel to convince it to go down. I intended to enjoy the boat so something needed to be done. almost impossible to move the keel. The weight of the keel was about 350lbs. I took it out by removing the pivot bolt and lowering it while it was still attached to the winch cable. I wrestled it into the trunk of my car and took it to a automotive body shop that spent about 3 hours chiseling and sandblasting it. When I took it picked it up I knew I had to coat it quickly to prevent new corrosion. 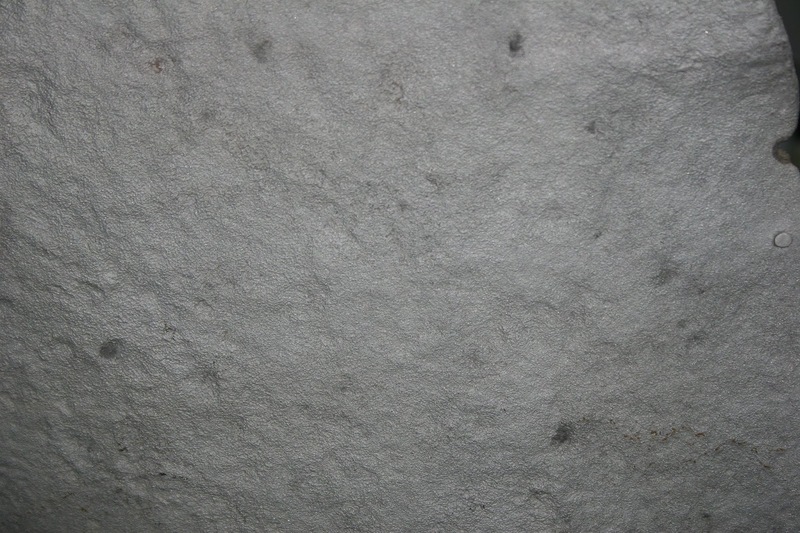 A detail of the surface after sandblasting. You can see how irregular and pitted it was, but there was no corrosion. 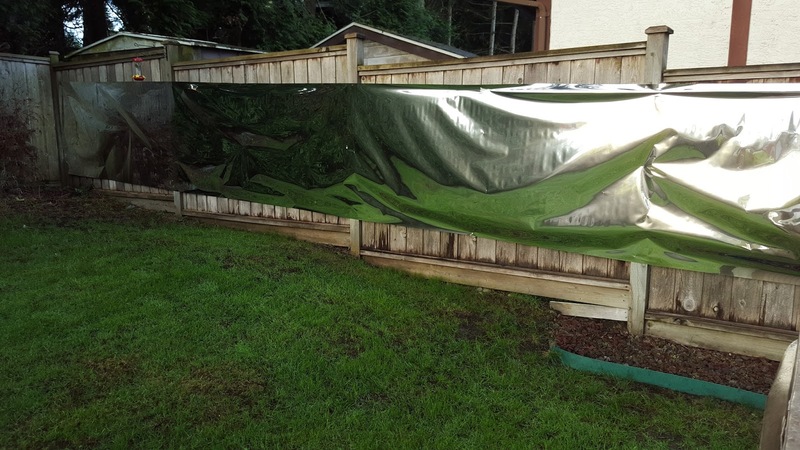 Interlux has a system to restore and protect underwater metals parts like this, with a number of different steps.First there is something that etches it - I think it's called Primewash and there is an initial coating to prevent it from immediate corrosion called Vinylux. 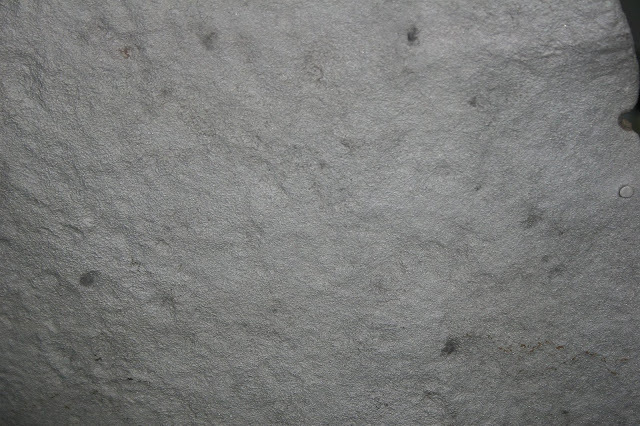 This is the green material in the photo. The keel with Vinylux on it. After that you can coat it with an special waterproof coating they have that includes silica chips to provide armor against bumps and scratches and other hard objects hitting it. This coating is grey in the pics. Once there's a couple coats on it you can start fairing it. 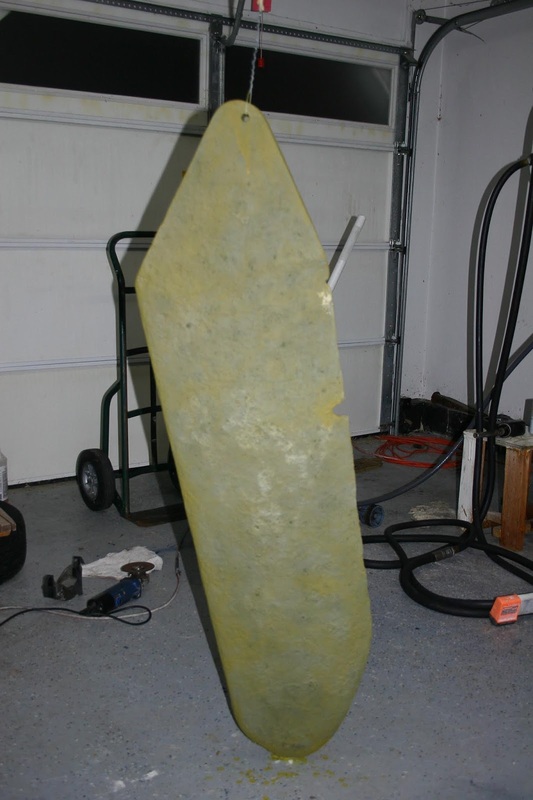 I used their underwater fairing compound, which is an epoxy mixed with a very waterproof filler to the right consistency for fairing. After a number of cycles of fairing, sanding and coating again, you can have a good keel again. 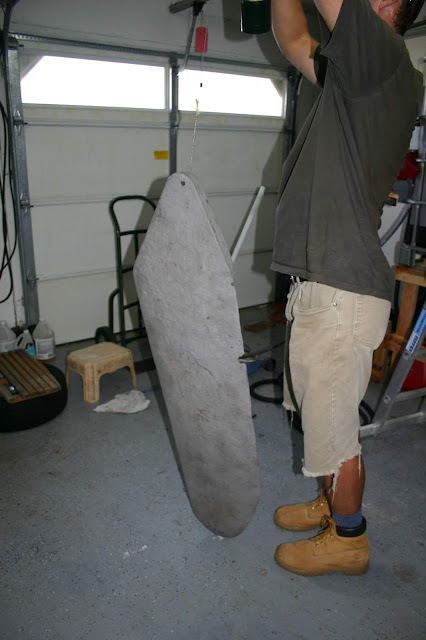 Before putting the keel back in the boat, I coated it with an ablative bottom paint. Reinstalling the keel in the boat required two people and some cursing. We used the winch to lift the keel up into the boat and then me under the boat trying to wrestle the keel around and a helper inside the boat trying to insert the keel bolt. It took a little while but got done. I had the boat for eight years after that and always sailed it in salt water, in the Barnegat Bay and Atlantic Ocean in New Jersey and Florida and in British Columbia. The fix was permanent, the rust never returned. Mylar film is cheap... and so am I. It's a match! 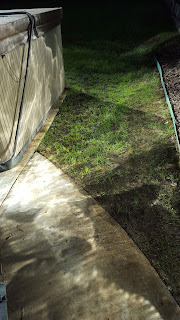 Let's see if we can get some extra sunlight onto this shady lawn. On our boat, we have an autopilot that controls the rudder through a hydraulic pump. The pump draws about 15 Amps and is controlled in short pulses 15 times per second. 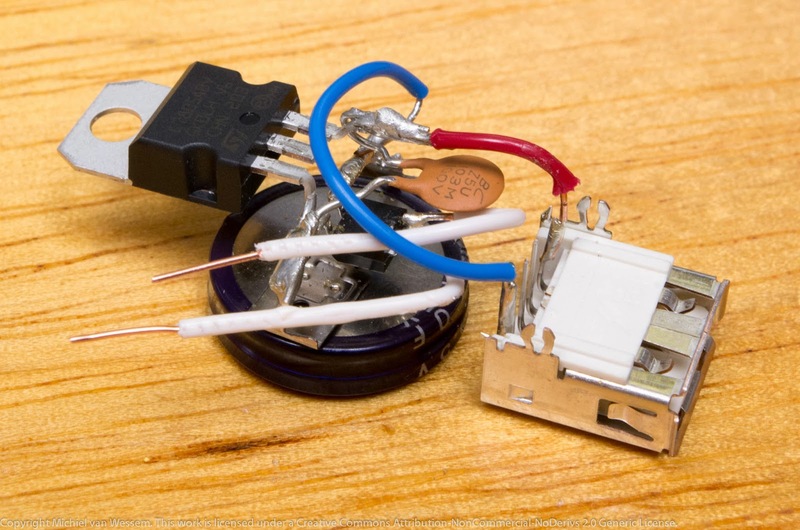 This draw causes a small drop in voltage that causes the interior lights to flicker, just slightly. This is 20 Farad 16.2 Volt supercapacitor bank that I got off Ebay. I soldered 12 AWG tinned leads to it. 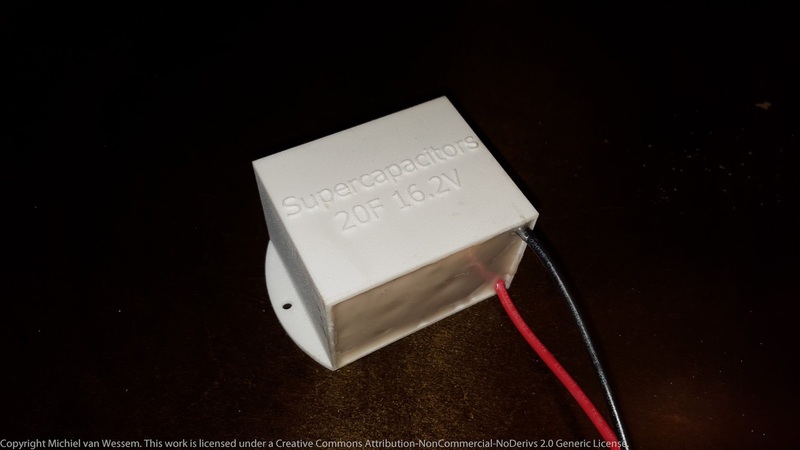 To stop this flickering and smooth out the voltage, I ordered this supercapacitor bank. It contains 6 supercapacitors in series, each rated at 2.7 volt for a total of 16.2 volts. To prepare it for a marine/salt water environment, I potted it in epoxy. I designed the enclosure in Sketchup, 3D printed it and filled it with epoxy with appropriate filler. 3D printing makes it easy to get a very tight fit. The capacitor bank stores a huge amount of charge. 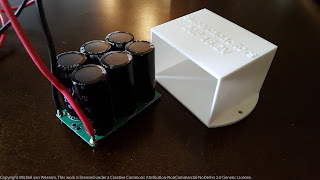 Here's a video where I'm charging it up to 12 volt using a UPS battery for a few seconds and then lighting up a 100 Watt spotlight from the capacitor bank. 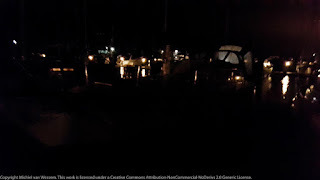 It can be very dark at night when boarding our boat. 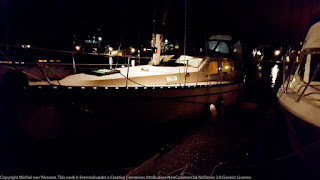 I used an inexpensive remote control kit and some diodes to be able to switch on most lights on the boat simultaneously (deck, interior, anchor). 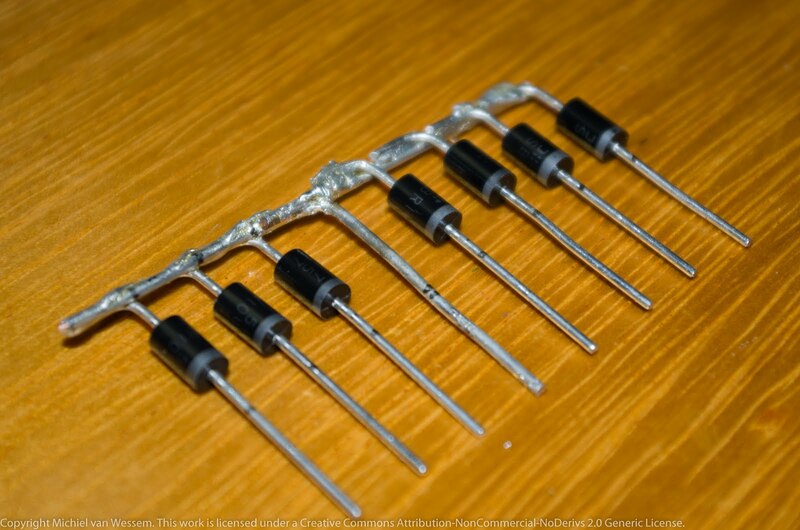 The diodes isolate the different lighting circuits during normal operation; without them, switching on any of lights would turn on all lights. Total cost of the project was about $25. 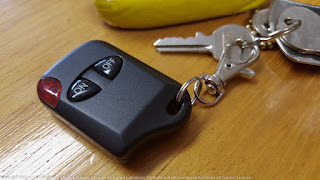 The remote control unit was inexpensive and may only last a few years. It will be easy to replace, so that's fine. I don't it's coded, but that too is not a problem: no doors are locked or opened. 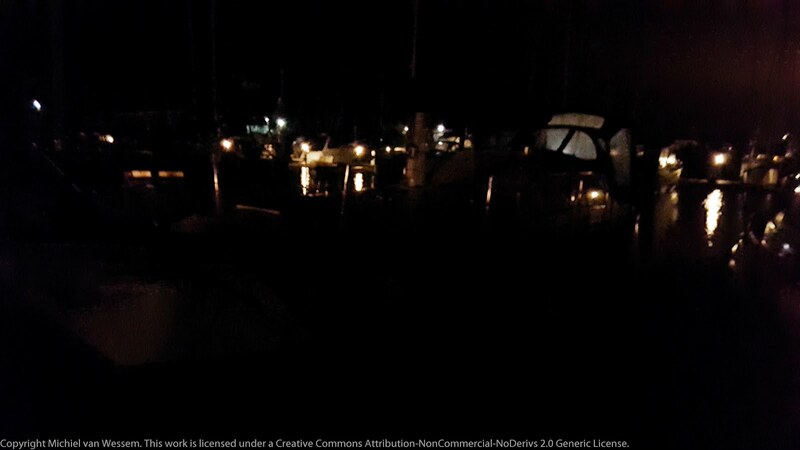 The remote lighting makes it easier and safer to get on and off the boat at night. 7 diodes and some copper electrical wire soldered together. The wire is white instead of red because I tinned it. 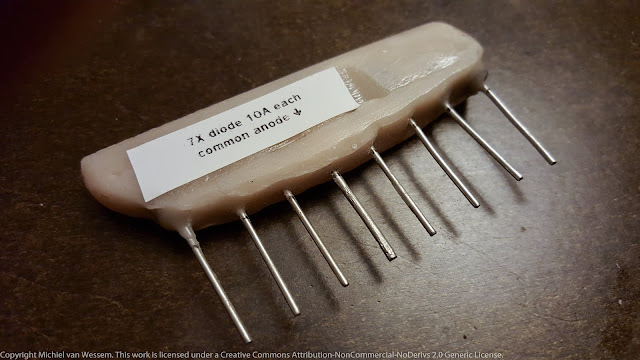 The diodes are rated for 10A continuous current. The remote control is is rated and fused for 15 A, which is fine since most of our lighting is LED. Diode array potted in epoxy and heat conductive alumina. I want to build a GPS based tiller pilot for boats. To avoid having to start out by building the hardware, I made a simulated environment to develop the control software in. I decided to do this in WPF with the Helix 3D toolkit - which is a pretty convenient environment. I can port it later as needed. After a week of evening programming I have a basic real time simulation with 3D visualizations, latitude/longitude coordinates, real units, a boat model with a rudder that can only be moved at a certain speed, current, a GPS model and the auto pilot itself. The autopilot does not know which way the boat is pointing: it derives its course from recent GPS readings. In the video the boat is travelling 30 MPH. The orange waypoint is approximately to the south. There's a side current of 6MPH - you can see how the boat has to travel somewhat sideways at the start. Some planned improvements include adding a magnetic field sensor to make better actual course predictions, introduction of GPS inaccuracies and the ability to deal with them and the rotating effect of following seas. And then finally porting this to a microcontroller and building the hardware. A day of skiing tends to leave me with damp ski boots that are difficult to dry. The same problem happens with my hiking boots and this can cause boots to smell. The boot dryer is not meant for outdoors; I just think grass makes a nice background. To address this I made a boot dryer. 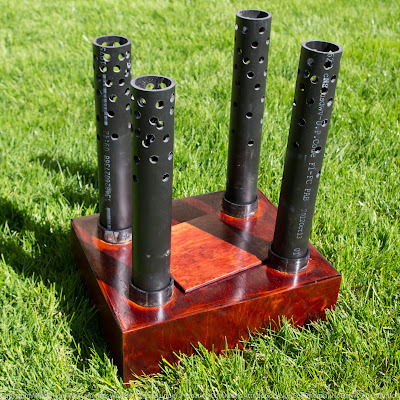 It's a wooden box with four ABS pipes to hang the boots from. The pipes are cross drilled for maximum air flow, with most of the holes near the ends. Two pairs of boots can be dried at the same time. The boot dryer is open at the bottom to give it two different modes of operation. 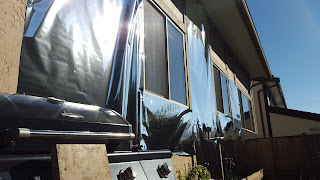 It can either be powered by the large computer fan that is in the center, or the box can be placed of a forced air heat floor vent. This is especially effective during cold winter days, when the heater is running a lot. There's a small plate to cover the fan if floor vents are used for ventilation. To power the computer fan I mounted a 12 volt adapter inside the box with double sided tape. 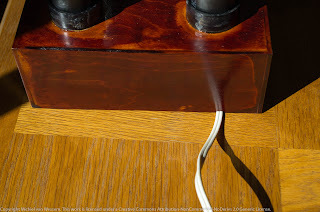 An extension cord is plugged onto the adapter to power it. A small notch on the side of the box helps to guide the extension cord out without lifting the box up. The wooden box was put together with wood glue and finished with alcohol based aniline dye and a couple of coats of polyurethane. 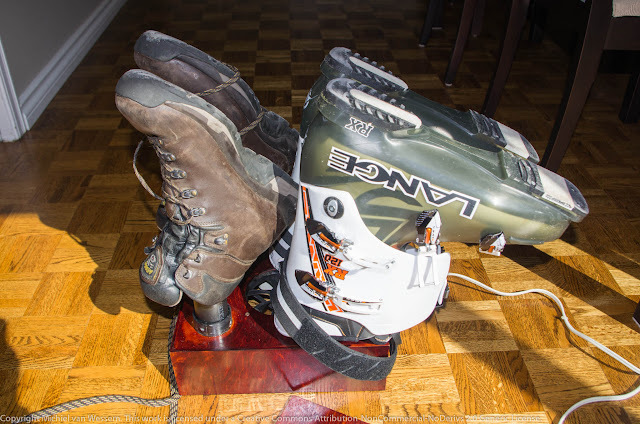 Here you can see the boot dryer with my ski boots and hiking boots (both size Enormous) on it. The dryer works wonderfully: every time I've used it, I had dry boots in the morning. I used to work as a network administrator in the early 2000's. Under my care were a bunch of desktop computers that we used as servers. Hard drives weren't very reliable back then and the result was that I ended up with a pile of dead hard drives. I took them apart and inside I found not only the pretty disks, but also some really powerful magnets. So much more powerful than the dark gray magnets we used to have. I found a good use for them. 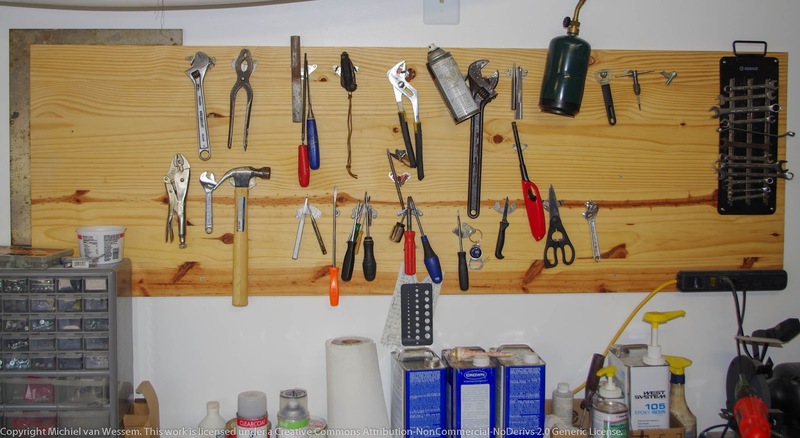 I screwed a piece of one by whatever to the wall over my workbench and screwed all these magnets to it. They hold up most of my hand tools. I didn't have quite enough magnets and I found some more on Ebay. I made some efforts to make a bicycle (hub generator) USB charger. Unfortunately I learned that the available 6 Volt and 3 watts were insufficient to charge smart phones such as my Galaxy S2 and S3. Therefore I've abandoned the project. 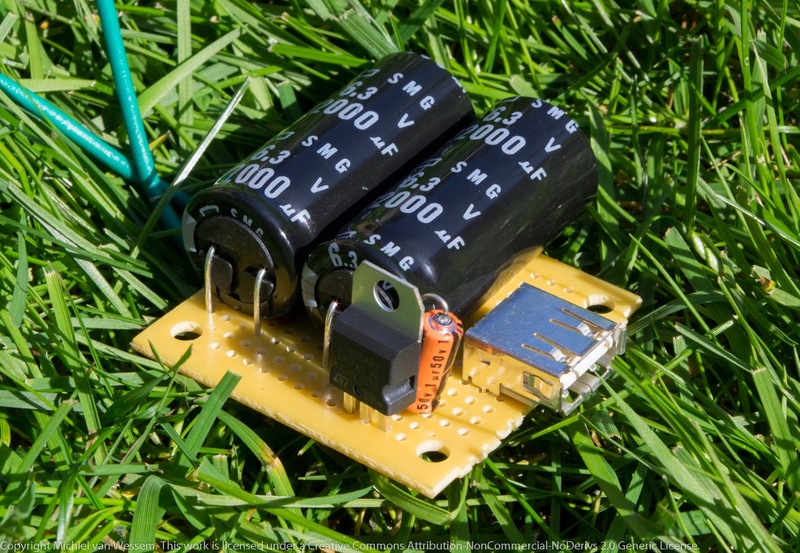 The first prototype used a supercapacitor, bridge rectifier and a low power 7805. This did not work well and supercapacitors are rather expensive ($6-$10). 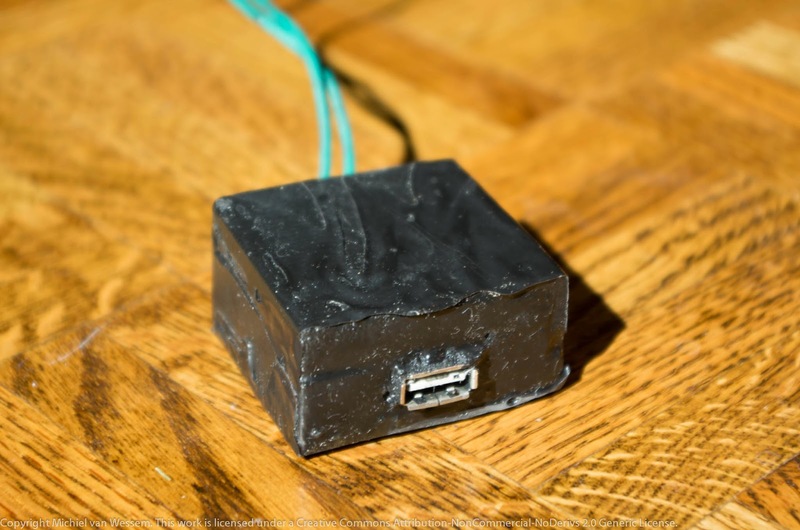 I wanted the charger to be inexpensive to build so I'd be able to turn it into a viable product. The second version, built on a prototype board, used a voltage doubling circuit and regular capacitors. To make it sturdy I potted it in epoxy. I wrote a small Android app for my phone to track the charging state and the speed with the phone plugged in to the USB port on the charger prototype while I go for a ride on my bicycle. You can see that on the Youtube video here. 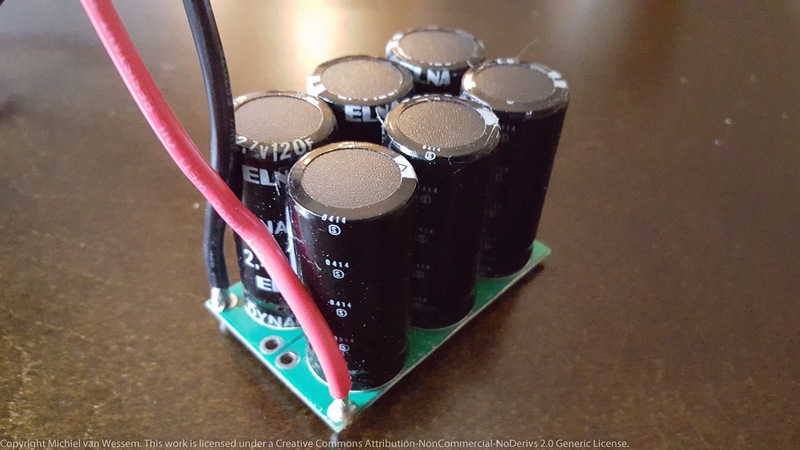 This worked much better than the first prototype, but it was not able to supply sufficient power to reliably charge the phone. For lower power demands it should work fine though. This is a simple ladder I made a few weekends back. It's made from five inexpensive pine 1x4x8's and half a bottle of gorrilla glue. Two of the 1x4's make up either side No dado cuts - just using miter saw at a 15 degree angle. One of the boards cut into pieces that allow for a 12" spacing between the steps. The steps were glued and screwed to the ends and each support piece was then laminated in between the steps The bottom step was 15" wide, each higher step is half an inch less wide. Levelled out and finished up with some sanding. Total cost about $45. I'd like to add some kind of bumpers at the top.. a shaped piece of urethane would be nice. measure height from tip of motor to top of transom bracket. 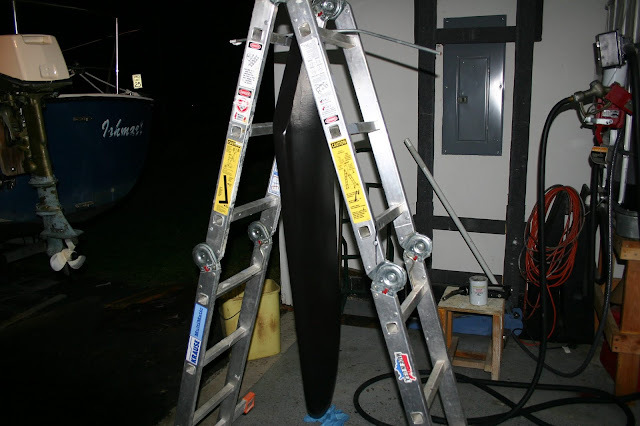 Add an inch or two for clearance and take into account that you don't want the outboard motor mounting bolts to interfere with the hand truck. take measuring tape to hand truck and find where you'd like to have the transom mount and how long it should extend to match the hand truck well. I used three layers of 3/4" plywood, laminated together with wood glue and the weight of a car. The plywood is bolted to some scrap pieces of teak behind the vertical bars of the hand truck. I used wing nuts for easy removal. Everything was sanded down a bit and got some urethane spray paint. It works great. In the photo you can see a motor being flushed by sitting it in a large bucket. My new phone has enough storage to keep all my music and it can also play music from a variety of online sources. It has a 3.5 mm or 1/8" output jack to connect to headphones or an external amplifier. We also have a couple of old boom boxes around the house, in varying states of decay. Unfortunately, these don't have audio input jacks, but they do all have cassette players. We haven't listened to cassette tapes in years. There are inexpensive devices available that look like an audio cassette with a short pigtail that you can plug into an mp3 player. They work, but the audio quality is generally miserable. I wanted to have a direct electrical connection that bypasses the original tape head. I also wanted an input jack where the cassette player was. This post describes my first conversion. Some soldering skills required. I had a boombox with dual cassette players. By converting one of them to an audio input jack, I still have the option to play cassettes and I could even record the audio signal from my phone to cassette. I don't think I'll ever want to do that though. I started out by removing the cassette door and ripping out as much of the tape players robotic guts as possible. Ideally, I would have cut the wire to the motor that drives the spindles to move the tape, but both dual cassette players share a single motor (a cost cutting measure) and disabling it would have disabled the other tape player as well. It might have been possible to disable the switch that turns on the motor when the Play is pressed, but I wasn't able to easily check this. Sony, the manufacturer of this boom box seems to have specially designed the boom box so that an unusually long screwdriver is required to take the thing apart. Not very friendly of them, but I suppose they make more money if their products ends up in a landfill when they break rather then being repaired. This is called planned obsolescence and it is one of the reasons I will never buy a Sony product again. I removed the tape head and desoldered the wires to it. Then I painted the old cassette door black, drilled a hole in it and glued a 3.5mm jack in it. As you can see, the slider connection of the trimmer is connected to the cassette player wire. 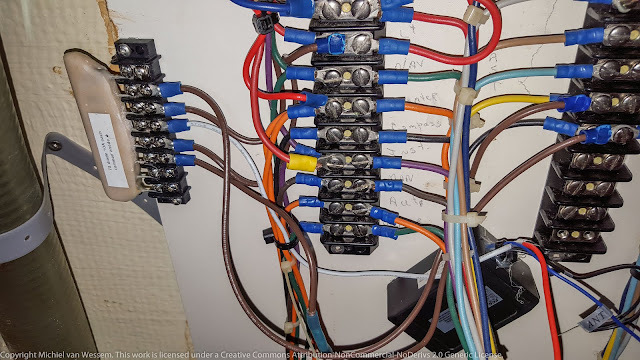 One of the other leads of each trimmer is connected to ground, the other to the signal connection on the jack. The type of this standard audio jack is called "tip ring sleeve". The sleeve is ground, the tip is the left channel and the ring is the right channel. On the wires to the cassette player, red is right, white is left and black is ground. 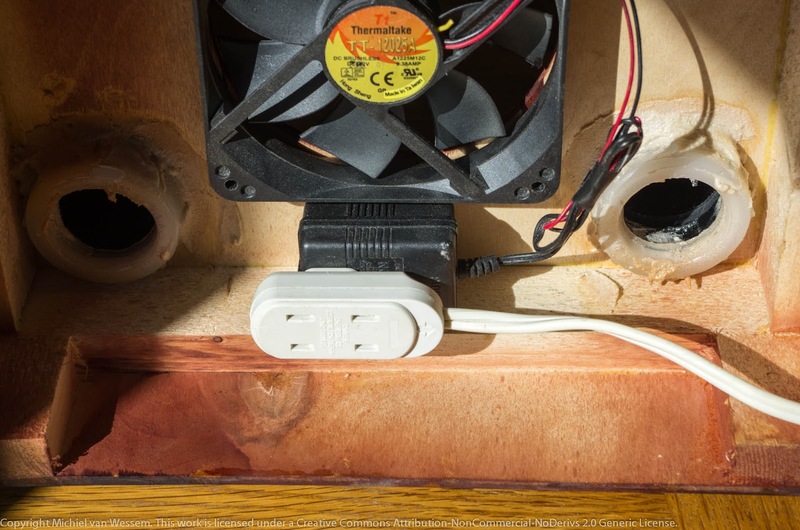 By turning the trimmers, the strength of the audio input signal can be adjusted so it's at the right level and the amp doesn't clip. The tape head preamp is very sensitive. It would be ideal to use trimmer with a so-called "audio taper", but regular trimmers will work too. Once the audio levels were adjusted, I glued the jack into the cassette door with some two part epoxy glue and then put the tape door back in its original place with some silicone glue and double sided tape. You can see the finished result at the start of this post. The audio quality isn't great, but it works well. 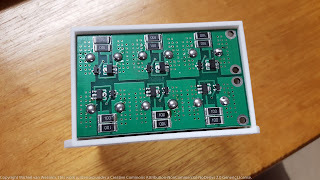 For my next conversion, I might use pot meters instead of trimmers and mount them on the cassette door, so the signal and stereo balance can be adjusted later. Also, I intend to disable the tape motor, since it produces some noise. I like to do little hobby projects. 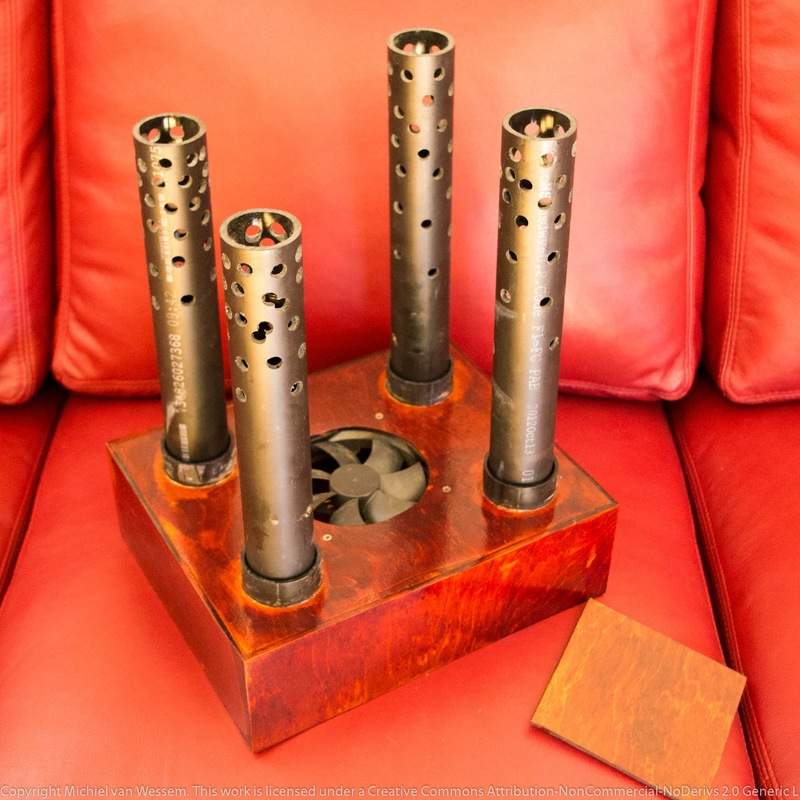 They might range from simple electronics to small woodworking projects or other little things I built or improved. Over the years, I have restored small sailboats, rebuilt the engine of two motorcycles, made some simple furniture and a couple of simple electronic projects. I think these little projects are the opposite of work, because you can stop working on them any time you feel like it and continue later, or just abandon them. Everything is fun until you have to keep your attention on it even when something else has caught your interest; then it becomes labor. This blog is likely to have infrequent posts. This is an older project. Just thought it'd be nice to post here. This was built out of 5/8" particle board, glued and sealed with epoxy. Four felt pads at the bottom keep it from wobbling. The epoxy will protect it if there is ever any overspray of urine. Some fillets were made with a mix of whole wheat flour and epoxy. Whole wheat turned out a bit too dark to color match the particle board and white flour might work better. A commercial version of the Litterbox Ramp would be made out of polyethylene. These dimensions do not account for the widths of saw cuts. This is because the glue I used (mix of epoxy, silica and glass microspheres) will fill any voids. The sloped part needs two angled cuts to fit well, see the drawing below. There is a 3/16" offset between top and bottom of the cuts. These drawings were made in Google Sketchup. You can download the Sketchup document here.